The warmest, most versatile lightweight gloves ever. With a sleek, form-fit build, these gloves have enough dexterity to pick up a dime. Despite being incredibly thin, these gloves still provide warmth without the bulk. Our family of All Weather™ and Xtreme™ All Weather™ gloves perfectly embody a sleek and practical design. 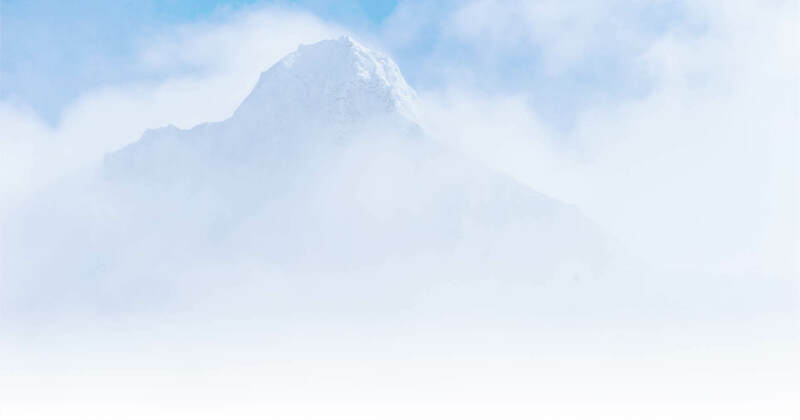 All Weather: The Seirus exclusive, Weathershield™ tri-laminate material consists of a four-way stretch outer, the Weathershield™ windproof/waterproof breathable membrane, and a wicking inner lining. Finely crafted into a form-fit design, our family of All Weather™ gloves represents the best gloves for outdoor life. 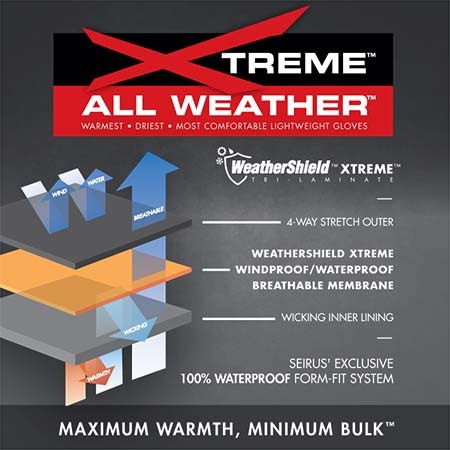 Xtreme All Weather: As warm as bulky insulated gloves, form fitting, and 100% waterproof. 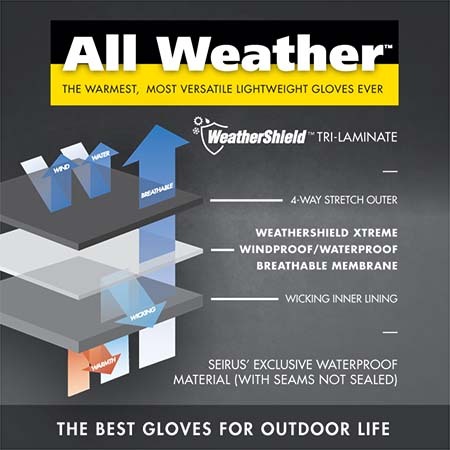 The exclusive Seirus Weathershield™ Xtreme™ tri-laminate consists of a four-way stretch outer, the Weathershield™ Xtreme™ windproof/waterproof breathable membrane, and a wicking inner lining. Combine this with flat-seam stitching and the result: a fully waterproof, warm, comfortable, mountain-capable glove. And it’s thin enough to pick up a dime.